Why Netent released Guns N' Roses, J. Hendrix and Motörhead slots? It was in 2016 that Net Entertainment celebrated 20 years since the founding of the company, two decades filled with innovation and great success which did not come without hard work. This pioneer of the iGaming industry finds its roots in Sweden, where the company started with just a single office in Stockholm and 3 employees. However it wasn’t long before the slot provider made a name for itself – with over 200 exciting online video slot games and more than 1000 employees scattered all around the globe in various offices, NetEnt is nowadays widely regarded as a market leader within the online gaming industry. In order to make their 20th anniversary truly one to remember, the NetEnt team came out with 3 Rock ‘n’ Roll theme over the course of 2016, which was certainly a busy year for the Swedish slot provider in terms of releases, for it was also then that their mobile live casino platform was launched. The first slot of this sequel to come out was Guns N’Roses ™, in affiliation with Bravado International Group. 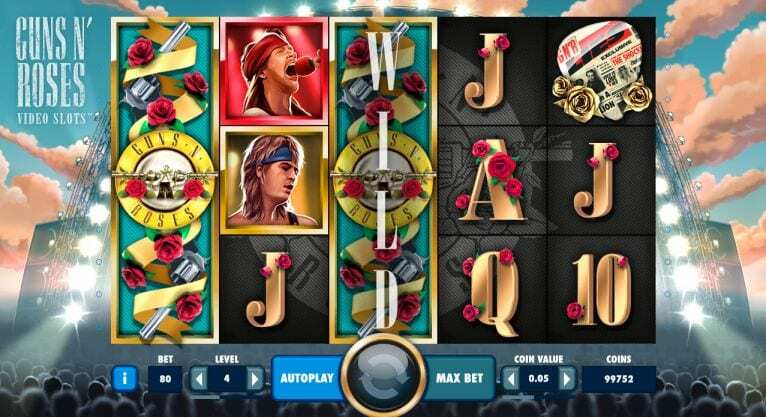 It was released in January 2016, however fans had been patiently waiting since February 2015, when then CEO of the company Per Eriksson announced the upcoming release of Guns N’ Roses ™ at the annual ICE Totally Gaming conference which takes place in London. Based of one of the most successful Rock bands in history, this slot is full of visually appealing graphics and intricate symbols. In order to provide players with an even more authentic experience, it offers players a choice between 5 of the band’s biggest hits which one can play as they spin the reels. As regards the two video slots completing this trilogy of 60s, 70s and 80s Rock N Roll themed slots, their development was announced during the 2016 ICE Totally Gaming event shortly before their release. 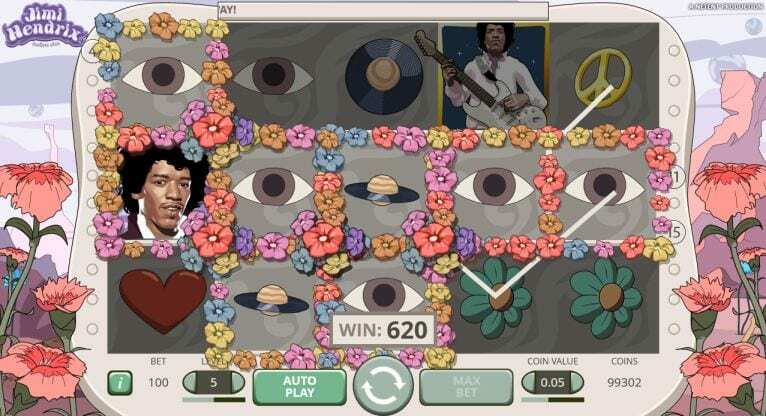 Released in April 2016, Jimi Hendrix Online Slot™ brought back to live the widely recognised guitarist in an incredible slot with a psychedelic feel to it. Filled with flowers and peace and love symbols as well as Jimi Hendrix himself, evoking the hippy movement of the 60s and 70s which had a major cultural impact on society and on music. It even features 3 different types of Free Spins, all of which were named after the guitar maestro’s most iconic tracks; Crosstown Traffic, Little Wing and Purple Haze. 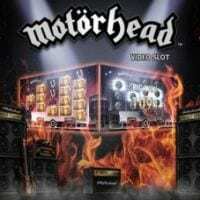 NetEnt continued rocking 2016 by launching that Autumn the third title of this trio, Motörhead Video Slot™. 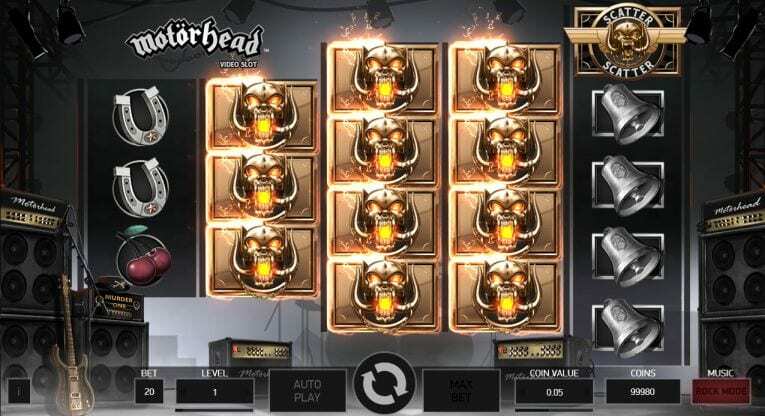 This slot pays homage to this influential band, a fundamental reference of New wave British heavy metal. Band leader “Lemmy” Kilmister and the boys are back in this mobile slot which mixes traditional slot machine icons with symbols reminiscent of 80s hard rock. By clicking on the rock mode button on the right hand side of the screen, one can sing along some of their classic hit songs as they spin the reels which sit on a misty stage, surrounded by instruments and loudspeakers. Watch as the spotlights illuminate the scene when you make a win, symbols flashing bright lights at the player. Every single one of these rock music themed slots perfectly capture the essence of superstars they were named after, each of them providing gamblers with a unique gaming experience. Founded in 1996, the Swedish slot provider now boasts an array of different slot games, all similarly inventive, original and each more exciting than the last. NetEnt has driven the entire market through innovation, bringing it something new with every slot release. Its corporate culture revolves around the idea that heterogeneous groups fuel innovation, and both the management and the personnel emphasize on creativity and building an innovative environment, which has greatly contributed to its success. With the launch of this Rock N Roll themed trilogy, the slot provider certainly brought innovation back on the reels. Working together with record companies, NetEnt has come up with 3 thrilling slots packed with fun special features to mark its 20th anniversary in a significant manner while continuously showcasing their know-how and surprising the iGaming industry with high quality designs and sharp, crisp graphics which have earned them over a dozen awards. These slots have already become player favorites, creating waves in the industry and adding to the firm’s reputation. Now the leading mobile game provider globally, the company has no intention of giving up their position. The release of NetEnt’s Rock Tour was however not without any ulterior motives -the slot provider had met great success in Scandinavian countries during its 20 years of existence, region in which it holds a market share hovering around 50%. In spite of this, the company recognised the interesting growth opportunity which the European market represented, especially in the United Kingdom. The UK may be Europe’s largest gaming market, yet it was – and still is – incredibly hard to penetrate, for until recently slot providers such as IGT, Playtech and Blueprint reigned supreme. NetEnt was understandably seeking to expand and become a well established slot supplier in the growing sector which online gaming represents in the UK’s gambling industry. The online market only represents 17% of the total gambling market in Europe as a whole, while in the UK this number has reached a staggering 35%. By releasing this sequel, the Swedish provider had high hopes of tightening its grip on the UK online gambling market. This strategy has already begun to bear fruit, as by the end of 2016 the UK became the software provider’s strongest performing market for the first time in the company’s history. The company has experienced extraordinary growth over the past 3 years, and its expansion in the UK where 18% of adults gambled online over the year 2017 has had a certain impact on the group’s financial figures. 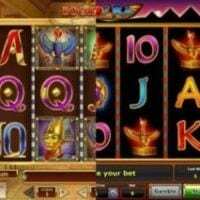 After signing their first gaming machine deal in the UK in 2014 with William Hill, their catalogue was finally made available to players in the bookmaker’s network. In 2015, the company handled a total of 27.7 billion gaming transaction, while over the course of 2017, it handled over 41 billion! The third reason: The player value of this audience and income related. In addition to this, the most important player value and revenue per player is found amongst those aged above 35. It is hence understandable for slot providers such as NetEnt to target this age group using slots reminiscent of their teenage years, for Rock N Roll played an important role in British youth culture during the 60s until the 90s and still does till this day. According to a survey carried out by the UK Gambling commission in 2017, 34% of those between the ages of 35 and 44 had taken part in some form of online gambling in the four weeks preceding the survey, while those between 45 and 54 had been around 22.5% to gamble online. A significant increase in the number of people aged between 55 and 64 to regularly involve themselves in online gambling was also observed. 14% of this age group had reportedly gambled during the month preceding the report, which represents a 14% increase in in-play rates. This is particularly interesting, for another survey carried out the same year found that the average weekly expenditure per household on gambling payments was highest among those aged 50 to 64, for they spend an average of £3.60 on gambling per week. NetEnt is undoubtedly one of the world’s most successful online gaming operators and has successfully achieved its goal of becoming an esteemed slot provider in the UK market. It has now been over 3 years since the company was granted its license to operate in this market from the UK Gambling Commission, and the great deal of hard work the company has done during this time period has really payed off, for their market shares now amount to 10% which represents a significant achievement in such a saturated market. In 2017, over 300 new casinos widened their range of offerings by adding NetEnt slots to their catalogue in the United Kingdom alone! Book of Ra™or Book of Dead™, which to choose? 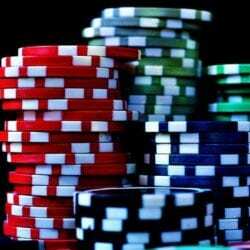 Should you play with or without a casino bonus ?